Warning: Contains mystery, adventure, and explosives projects you can build yourself! An abandoned house at the end of the block. A mysterious girl in an upstairs window. A strange black SUV lurking around every corner. When Nick and Tesla Holt are sent to live with their eccentric Uncle Newt, they find their new neighborhood is full of secrets. What the heck is going on? 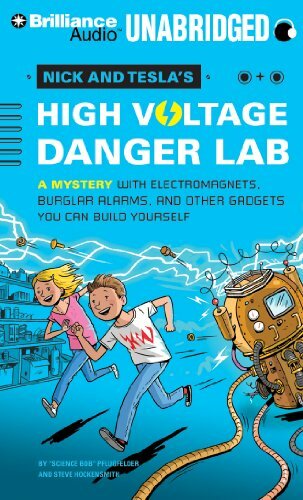 To unravel the mysteries (and save their skins), Nick and Tesla must use everyday household objects to build electromagnets, rocket launchers, and other crazy contraptions—and instructions are included in a handy booklet so you can build them, too! View More In Science, Nature & How It Works.